Sophomore Dee Wideman pulls up for a jump shot against Bluestem as the Trojans would go on to win 75-35 Tuesday night. PC: Ron Gates. In quarterfinal play, the Trojans dismantled the Neodesha Blue Streaks 60-26 as they advanced to the semifinals. Tuesday, Jan. 15, the Trojans (8-0) faced the Bluestem Lions (6-4) in a semifinal matchup. Girard started off the game on a two-man tear as seniors Caleb Muia and Evan Troike combined for 20 of Girard’s 22 first quarter points. There was a great disadvantage for the Lions as Girard’s size and speed became too much as the Trojan’s executed on mismatches. Hot shooting from Girard, including 26 points for Muia in the first half, and outstanding pressure defense would hold Bluestem down 49-11 at the half. Girard would sit their starters for most of the second half giving the bench players some opportunities on the court. With key player Ryder Worrell out, the Trojans continue to look towards a crop of young talent to fill the role. With starters out and a running clock ensued, the Trojans went on to defeat Bluestem 75-35 advancing to the championship game. The Trojans had two players within double digits in Tuesday’s game, Muia (32) Troike (10). 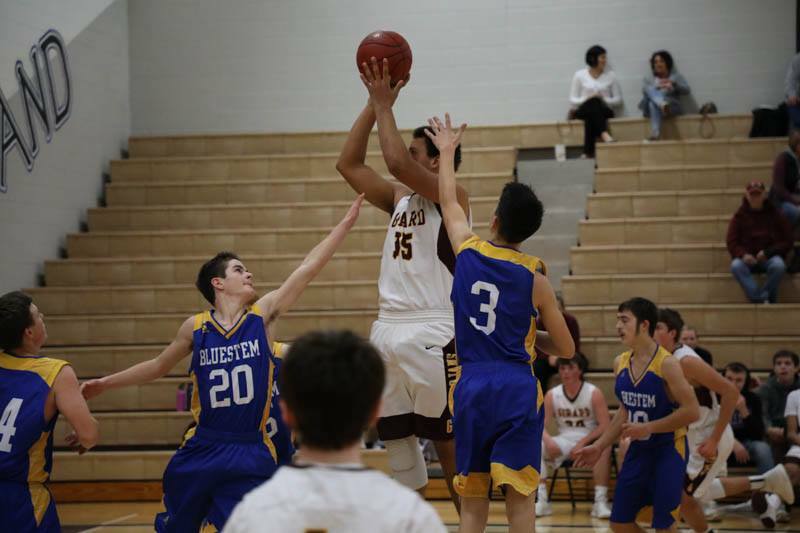 But in a game with 75 points scored, the workload was spread evenly amongst the team as Girard looks to be a dangerous squad come postseason with their extensive bench. Other key efforts include; Doherty (8), Lallemand (5). The Girard boys (9-0) will face Yates Center (9-1) for the Championship, Friday, Jan. 18 at 8 p.m.